Political activist Hengameh Shahidi is in poor health after a nine-month stint in solitary confinement, the Center for Human Rights in Iran (CHRI) has been informed. Arrested on June 26, 2018, Shahidi has since been held in isolation in Ward 241 under the control of the judiciary's Security and Intelligence Center in Tehran's Evin Prison. Shahidi is awaiting a decision on her appeal against a 12.9-year prison sentence issued on December 10, 2018, primarily for her public criticisms of former Judiciary Chief Sadegh Larijani. 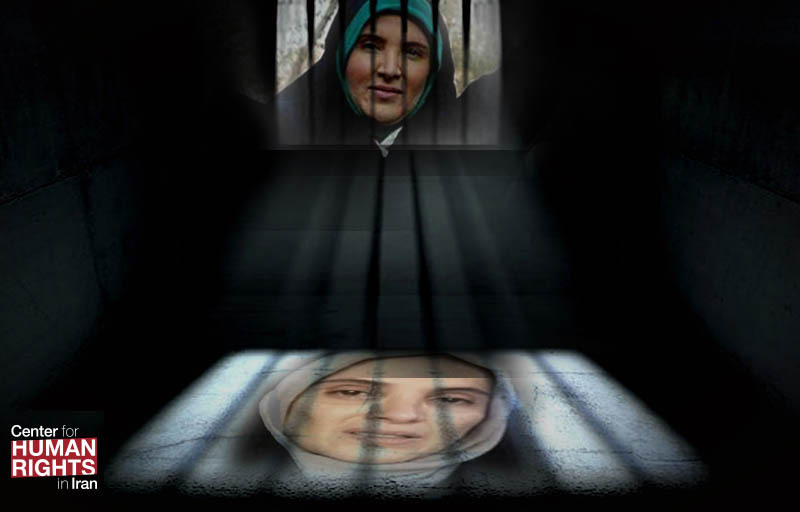 "Hengameh's physical and mental state has been described as very poor and one of the reasons is the long-term solitary confinement," a former colleague told CHRI on April 4, 2019. "All this heavy-handed treatment is because she sharply criticized the judiciary chief and demanded a performance report on his nine-year tenure." "It's rare that a prisoner is held in solitary confinement after being interrogated and prosecuted," said the source who requested anonymity for security reasons. "But months have gone by and Hengameh is still being kept isolated." On March 16, 2019, Shahidi's attorney Mostafa Tork Hamedani took to social media to complain about the repeated postponement of her appeal hearing. The first and second hearings, scheduled in January and March 2019, were canceled because she was not transferred from the prison to the courtroom. The next is due to take place on April 17, 2019. Addressing Iran's new Chief Justice Ebrahim Raisis, Hamedani tweeted: "Mr. Ebrahim Raisi! I went to several courthouses and other judicial offices in the last week of the [Persian] year... But the head of one particular court was not only absent on numerous occasions but also ordered that the case of an imprisoned woman in solitary confinement be postponed for one more month." The attorney was referring to Judge Abolqasem Salavati of Branch 15 of the Revolutionary Court, who is known in Iran for bending to the wishes of security agencies in dealing with political prisoners. In addition to sentencing her to 12.9 years in prison, Salavati also banned Shahidi-a former advisor to former presidential candidate Mehdi Karroubi (under extrajudicial house arrest since February 2011)-from membership in political groups and activities on social media for two years as well as prohibited her from leaving the country for two years.